Adding Geo information to my photos has fascinated me for awhile. How cool is to see a map with pins where you photos were taken! Since I first went on Flickr I’ve been trying to find ways to do this. Editing the maps manually was an ok solution, but I wanted something better. My first attempt at an automated system was using a GPS logger. This device recorded a GPS point every 5 minutes. At the end of the day, you import your photos into their software and based on timecodes on the photo exif data, the software adds GEO information to your photo. This require a little more work than I wanted. That data wasn’t the best either. I was able to produce a map showing our path for a whole day in the Magic Kingdom however! BlueSLR is small GPS receiver that attaches to your camera. The device connects via BlueTooth to your iPhone. When you click the shutter release, BlueSLR adds the GEO information received from the iPhone into the exif data of your image. This happens automatically while you are shooting! No extra post processing necessary. In addition, BlueSLR works as a remote shutter release. You can fire the shutter from your iPhone up to 300 feet away. This has been handy for me during several photo shoots. I’m able to leave the camera on a tripod and be moving lights or other things around and then fire the shutter without going back to the camera. 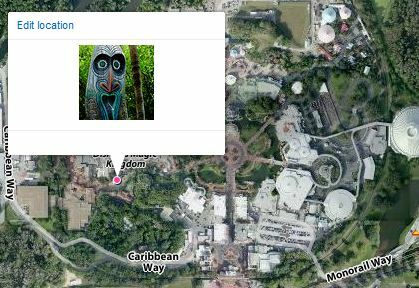 While touring WDW, the device works great to map all your images. On several occasions it has helped me remember exactly where a photo was taken. 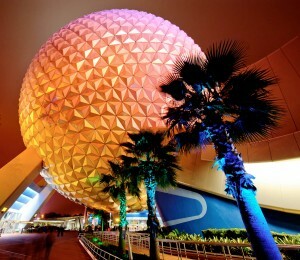 Especially when we are shooting hundreds of photos for our Where in Disney World iPhone game! BlueSLR does have a few drawbacks. First, is the cost. $149 is a little higher than I really wanted to spend. The device only works with iPhones. It will not download GPS coordinates without being connected to the iPhone. 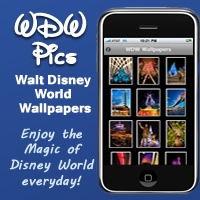 On long days in the parks, this can cause a large drain on your iPhone battery. The iPhone app for BlueSLR must also be the active app on your phone. It does not run as a background process. You have to remember to switch back to BlueSLR after you check Lines for the wait time at Toy Story Midway Mania. 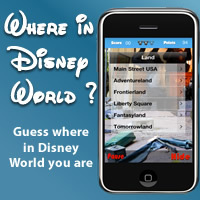 As I’ve used it in the parks, I’ve found that the app occasionally crashes. I make it a point to check it periodically. 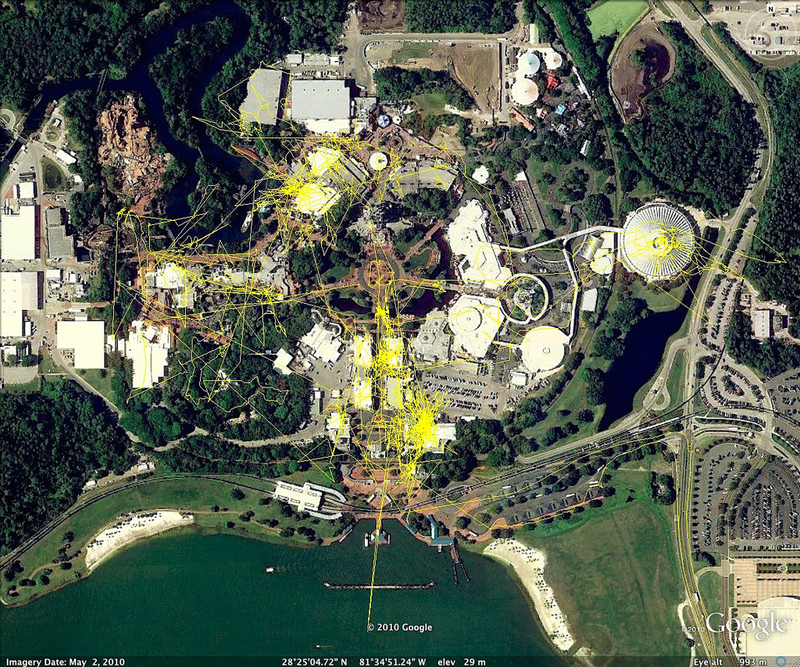 For Nikon DSLR users the way BlueSLR attaches to the camera can cause problems during park touring. I carry my Nikon D700 on an RStrap. The device attaches to the port on the left side of the camera. When I’m walking, this is the spot where it sits on my hip. I’ve knocked it off the camera several times without knowing it. Fortunately each time people behind me picked it up and returned it to me. My solution is to attach a rubber band to the BlueSLR and the camera strap. 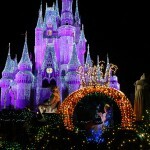 I had hoped to use the remote shutter during Wishes and Illuminations. Currently the app doesn’t allow you to use Bulb exposure however. Overall the BlueSLR works well to add Geo information to your images and as a remote shutter. 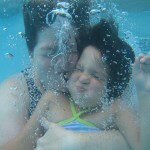 If you can get past the $149 price for a photo “toy”, I recommend adding BlueSLR to your camera bag! 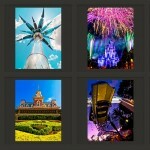 Leave a Reply to What's in the Gowder's Camera Bag | Where In Walt Disney World?